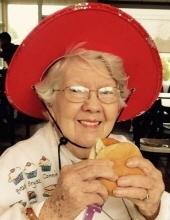 Martha Mae Tredway, 95, of Parsons, died at 5:40 a.m., Monday, March 25, 2019 at Labette Health in Parsons. She was born July 6, 1923, at Chanute, to Ralph and Genevieve (Elliott) Filson. She attended Chanute and Big Creek grade schools and graduated from Chanute High School in 1941. She attended Chanute Junior College while working at the Crown Drug Store and B.F. Goodrich. On March 9, 1942 she and Warren Tredway were married in Bartlesville, OK and during his military duty in World War II they lived at Air Force Bases in California, Oregon and South Dakota. She moved to Parsons when he was sent overseas. Warren preceded her in death on October 15, 2004. Martha was primarily a homemaker but served for a time as a tax assessor and censes enumerator for Labette County in the third ward of Parsons. She was a cub scout den mother for her three sons and a assistant girl scout leader for her two daughters. She was president of the McKinley School P.T.A and president of the Labette County Chapter 2313 of A.A.R.P. She was a member of the First Christian Church and had been a deacon, librarian, Sunday School teacher and president of the Christian Women’s Fellowship. She was a life member of the Brown-Bishop Post 704 Auxiliary and had been senior vice-president and chair of the hospital and legislation committees. She was also a life member of the V.F.W. National Home. Martha was an avid bridge player and achieved the Life Master Rank in the American Contract Bridge League. She served as manager of the Parsons Recreation Duplicate Bridge Club and taught bridge classes at the Arvon Phillips Community Center and Senior Center. She was a member of the Alpha Reading Club. She enjoyed travel, reading and quilting and had hand embroidered and quilted quilts for each of her grandchildren. Other interesting Martha traits – she never had a bad cookie, loved McDonald hamburgers and fries and everything and everybody was a delight to her – especially her grandchildren and great-grandchildren. Surviving are five children – Shirle Froebe (husband Kenneth), rural Parsons, Charles Tredway (Connie), Phoenix, Nicholas Tredway (wife Regina), Shreveport, LA, Thomas Tredway (wife Nora) , Bixby, OK and Su Stover (husband Myron), Parsons. There are ten grandchildren, 22 great-grandchildren, 4 great-great grandchildren and two nephews. Her sister, Marjorie Dennis, preceded her in death. Memorial Service will be at 10:30 a.m., Friday, April 5 at the Carson-Wall Funeral Home, with Myron Stover officiating. Burial will be in Memorial Lawn Cemetery. The family will receive friends at the funeral home from 6 to 8 p.m., Thursday, April 4. Memorials are suggested to the First Christian Church. They may be left at or sent to the funeral home at Box 942, Parsons, KS 67357. Online messages may be left at www.wallfuneralservices.com. To send flowers or a remembrance gift to the family of Martha Mae Tredway, please visit our Tribute Store. "Email Address" would like to share the life celebration of Martha Mae Tredway. Click on the "link" to go to share a favorite memory or leave a condolence message for the family.